Explore the network of underground drainage tunnels beneath Paris. 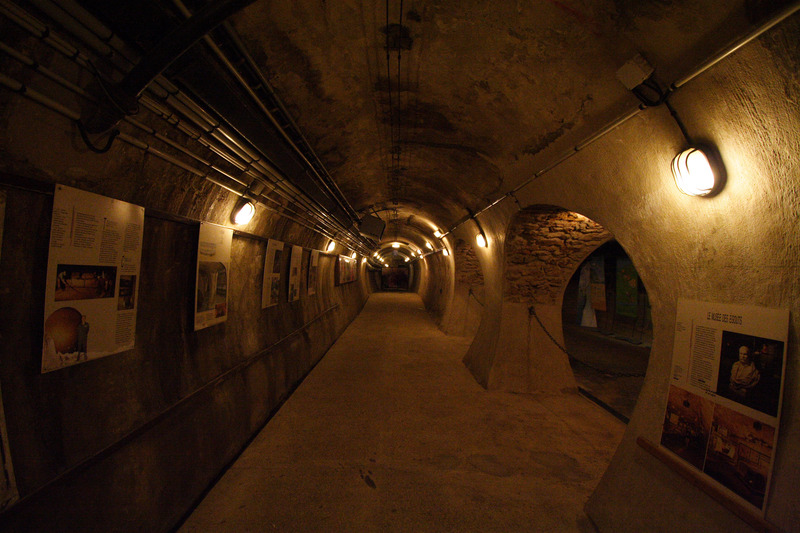 One of the more unusual of Paris's many museums, if you've ever wanted to roam around a sewer, this is the place for you. And if this idea has never appealed to you, you'd be surprised how fascinating a trip to the underground tunnels beneath Paris can be. The Musée des Egouts invites you to delve 500m into the sewers of Paris (without getting your feet wet!) to discover exactly what happens down there. You will learn what happens to waste water and drinking water and will see how water is purified. Along the rooms and tunnels of the visit you will encounter machines and other maintenance equipment used in the sewers today and in the past. Although you will investigate only a small stretch of the 2100km of underground tunnels, you will gain an insight into to the historic and present workings of Paris's sewage and drainage system. And don't worry - visitors are kept well clear of the more unpleasant contents (and odours) of the sewage network. From 1st October to 30th April: Saturday to Wednesday, 11:00 - 16:00. From 1st May to 30th September: Saturday to Wednesday, 11:00 - 18:00.